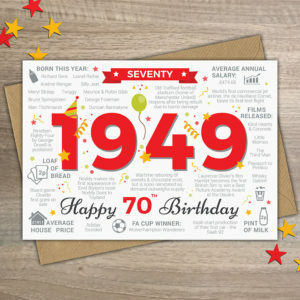 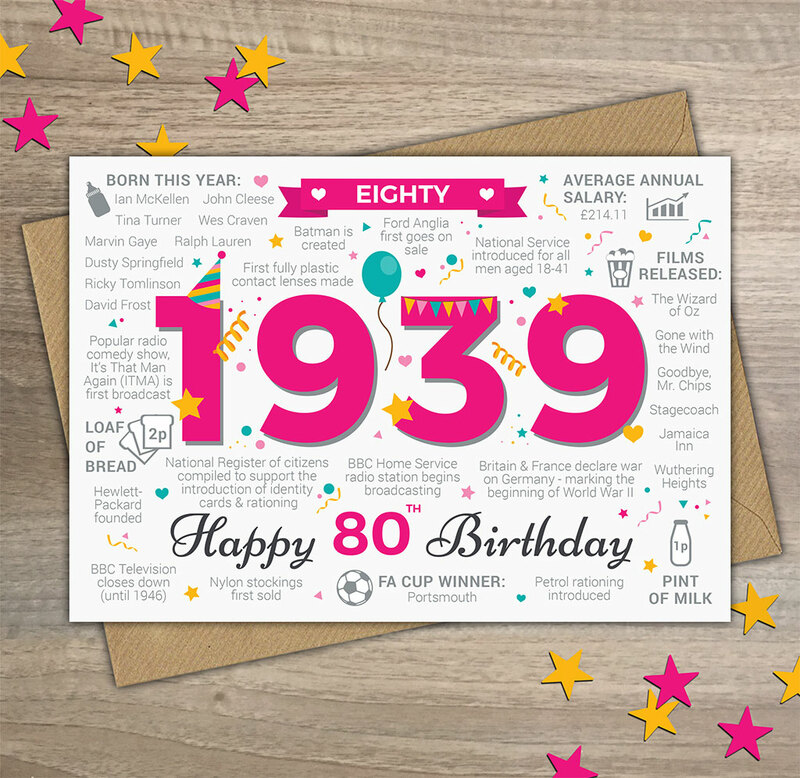 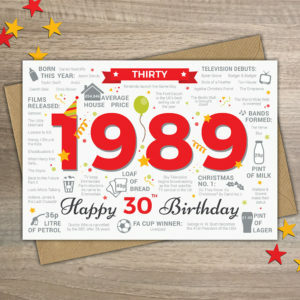 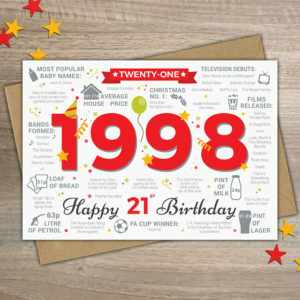 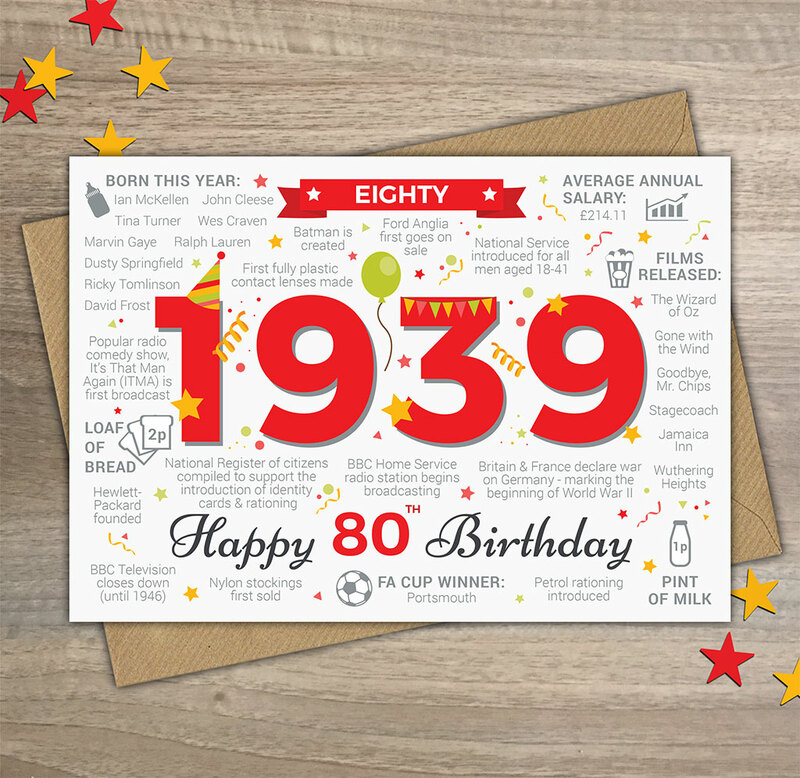 The Year you were born milestone birthday card, suitable for celebrating eightieth birthdays in 2019. Full of fun and interesting British facts, this card takes a trip back eighty years to look at what was happening in 1939. 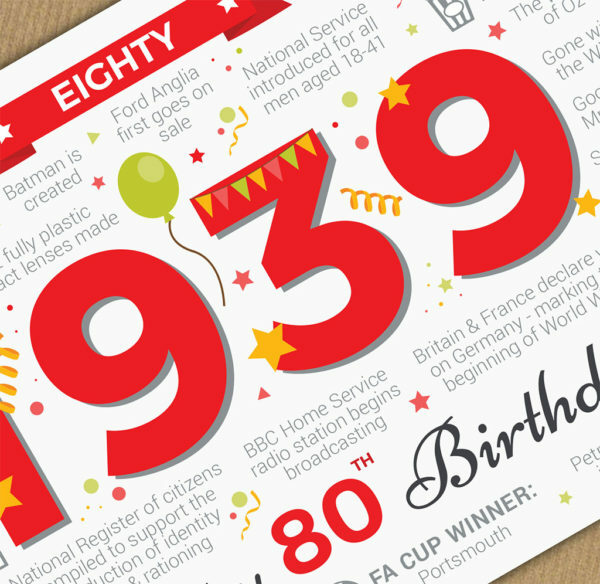 For example, did you know that in 1939… Batman was created, WW2 began, a pint of milk cost 1p and Tina Turner was born!